Middle Tennessee is littered with great trail runs. Some steep and technical and others winding through beautiful nature reserves. Deciding on that long Saturday morning run is exciting, like planning that next big vacation. But getting out on the trail during the week can seem daunting. The thought of a long drive or 20-mile loop is a bit much when daily tasks get in the way. 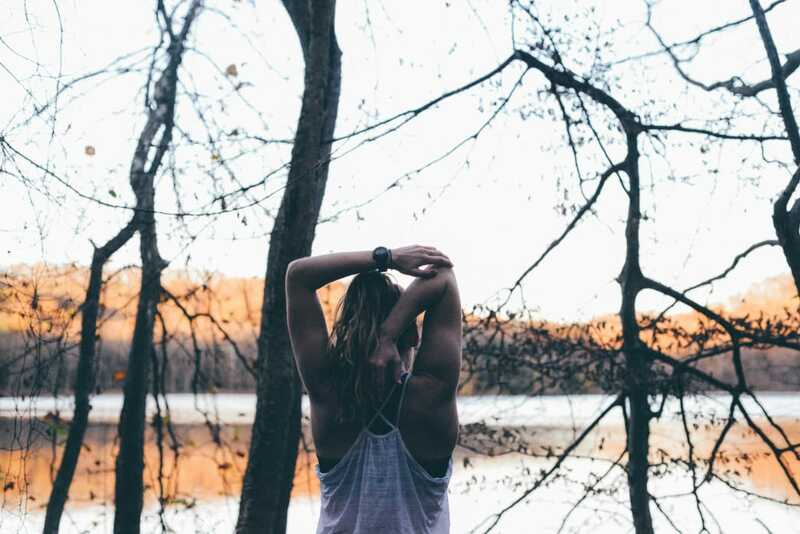 Not to worry, there are tons of great options within 30 miles of downtown that will give you the perfect place to perfect your posture, challenge your endurance, or just get your bones moving after (or during) a long work day. Here are eight of the best trail runs to enjoy on a regular basis. A quick, windy drive northwest brings you to one of Nashville’s hidden gems. 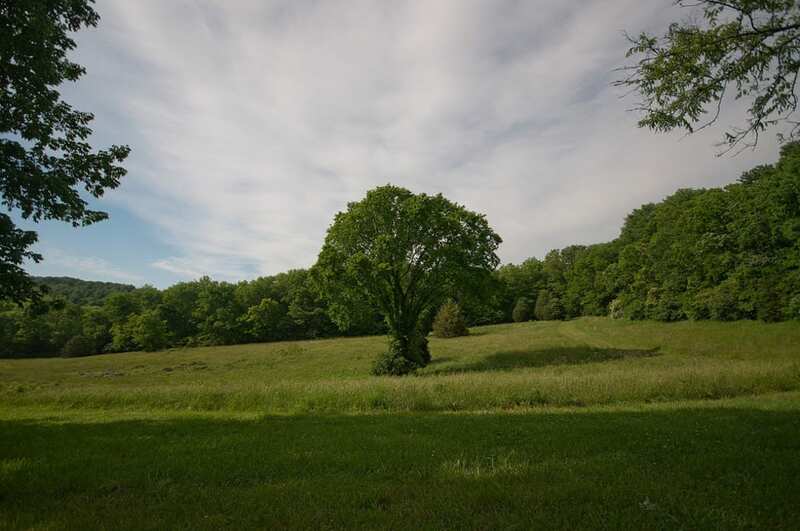 Beaman Park is a 1,700-acre conservation park tucked into farmland and rolling hills. The Henry Hollow Loop overlooks some of the best Nashville terrain and is technical without having too many steep inclines. This 2.6-mile loop (when you enter the Nature Center trailhead) is a good place to get in that quick lunch break run and practice hitting those roots and rocks. If you have the time, take a few laps or switch up directions to give yourself more of a challenge. Located right next to downtown on the east side floodplains of the Cumberland, Shelby Bottoms is an 820-acre park that starts downtown near the pedestrian bridge and stretches down the river to Opry Mills. There are several different trails, some looping quickly back to the nature center, while others will take you the 4 mile stretch to the Forest Green Trailhead at Opry Mills. These trails intersect with the paved trail often, so if you’re in the mood for mixing some road running in with the trail this is the place for you. Overall it’s an easier run, and if you go all 8 miles it gives you time to practice your pacing. Percy Warner Park has something for everyone, with meadows, singletrack, and even waterfalls to enjoy. The Percy Warner Park is one of the most popular in Nashville and for good reason. A remnant of the Highland Rim, the 868 acres have exposed limestone and some of the best (and closest) trail runs. Mossy Ridge, a 4.5-mile loop, is technical and, depending on which direction you head in, provides some great climbs. The trail goes through creeks and over waterfalls and has you feeling like you’re much further from the city than you are. The loop is a great run and easily made long and challenging when you take on multiple laps. 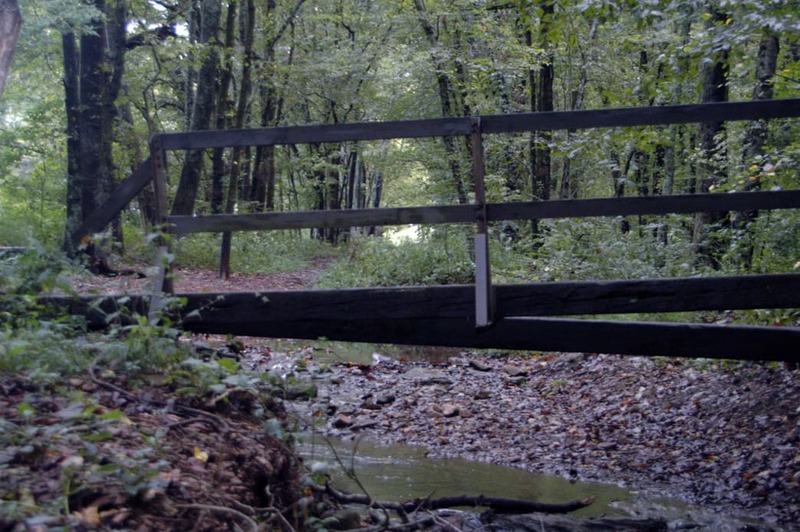 A bridge crosses a creek at Edwin Warner Park. Just passed Percy, once you cross over Vaughn Road intersection, is its sister park, Edwin Warner. The Harpeth Woods Trail is a 2.5-mile loop (that is easily connected with some of Percy’s trails) and is a moderate, technical little run. It doesn’t have as steep of inclines as Mossy Ridge, but it rises and falls just as often. It’s great for focus and keeping your steps controlled. The Marcella Vivrette Smith Park opened to the public in 2014 and is growing in popularity with Nashville trail runners. The property is a mix of wooded hills and open trail and includes the historic Ravenswood mansion built in 1825 by James Howard Wilson II. The blue trail is a 2.5-mile loop wrapping all the way around the park. It’s an easier run but packs a good punch in a few spots. Prepping for a trail run at Hamilton Creek. Hamilton Creek is known as a marina on Percy Priest Lake and mountain bike trail, but it offers some great, technical trails for runners. The east trail is about a 4-mile loop with a short connector between the two splitting it if you are looking for a shorter run. If you go through the tunnel to the 7-mile loop West trail you’ll get a lot more rugged terrain with more jagged rocks and roots. The east trail is ideal for a quick lunch break run that still challenges concentration. Just keep your head up for mountain bikers. The farthest from downtown, Bowie Nature Park is the perfect run if you’re looking to feel like you’re far, far away from the city (without actually being far, far away). The perimeter trail is a 4.5-mile loop that wraps around the park’s 700 acres and has a good mix of rocky terrain and pine needle trail. It’s well maintained and winds through woods and farmland providing some awesome views. 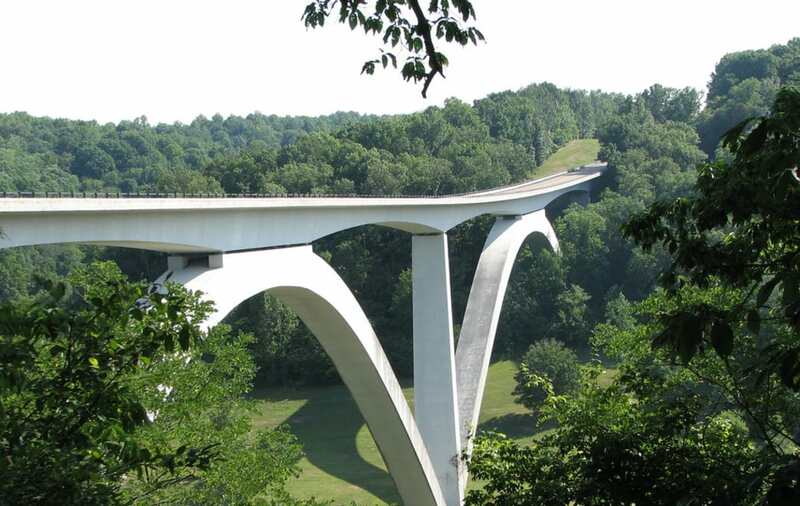 The historic Natchez Trace bridge. 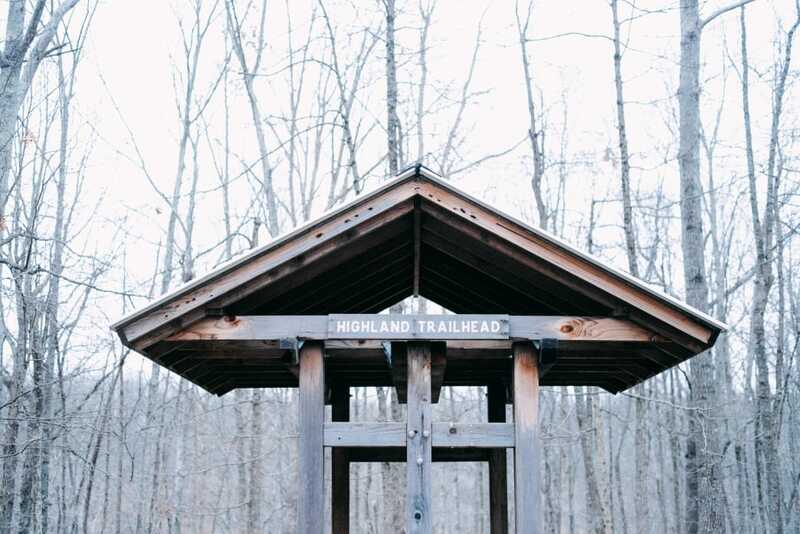 The Highland Rim Trail is one of the most diverse runs this close to Nashville. It follows the historic Natchez Trace and is 24 miles of steep but short ascents and descents. It keeps you on your toes and offers a fair amount of technical practice. The best place to enter is the north entrance at the Garrison Creek Trailhead. The trail is not maintained as much as other parks and can, at times, be overgrown. If you’re hitting the trail midwinter or early spring, however, you’ll have a great, open trail. Written by Leah Gray for RootsRated.